We provide books, neckerchief, slide and patches for scouts uniforms. Do not buy these from the scout shop, some employees know we provide these but others do not and will try to sell them to you. The official cap and socks for their den are optional, if your scout wears hats they are good for outdoor events in the sun etc. 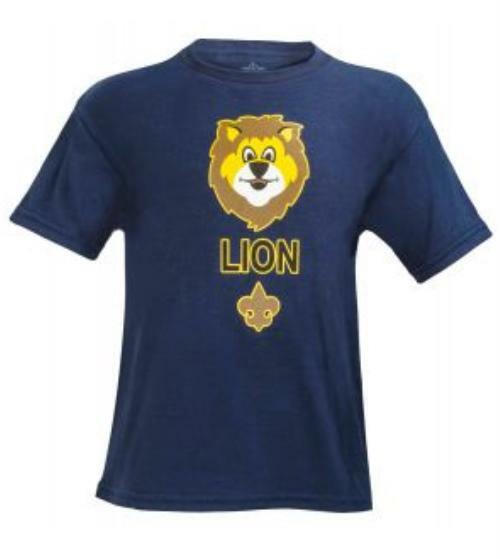 These scouts are required to wear the official Lion T-Shirt $9.99 located at the scout shop as well as the BSA blue belt $9.99. Dark blue or navy bottoms should be worn and the Lion Ball Cap is optional at $11.99. These scouts are required to wear the Blue Scout button up located in the shop $24.99 as well as the BSA blue belt $9.99. The belt must be the official belt since their award loops will need to fit on the belt. We highly recommend the blue scout pants, they zip off at the knee so they are essentially shorts and pants for $24.99. They can also wear dark blue or navy bottoms if you choose not to purchase the scout pants. 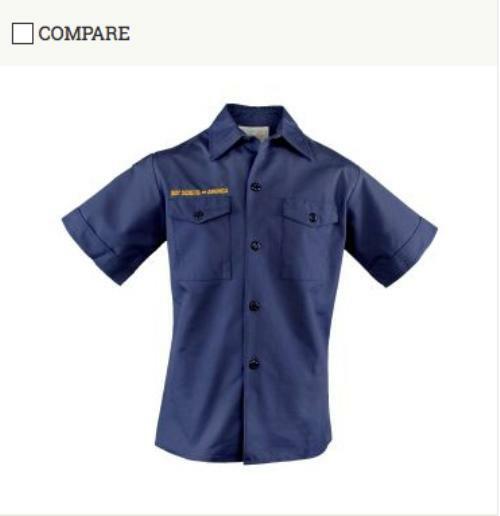 Purchase uniforms a bit large since your scout can wear them for 3 years! Optional hat $9.99, optional socks $5.99. 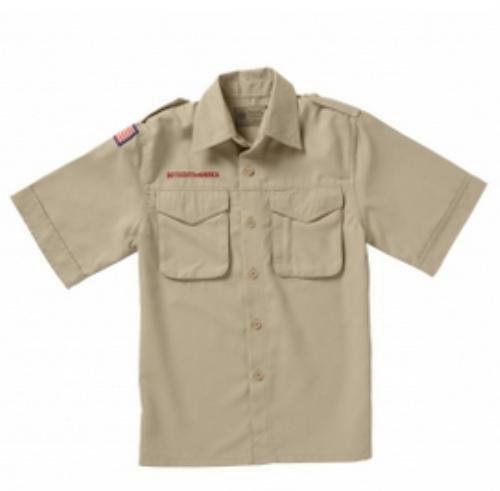 These scouts are required to wear the tan scout shirt, these come in two options Poplin $29.99 and Poly $39.99, the scout shop also sells an optional BSA green belt for $12.99. There are official green BSA scout pants that zip off at the knee so they are essentially shorts and pants for Canvas $34.99 and Poly $44.99. If you choose not to purchase the official pants they can wear dark green or tan bottoms. Such as these nearly identical switchback green pants from Academy Sports for just $20! 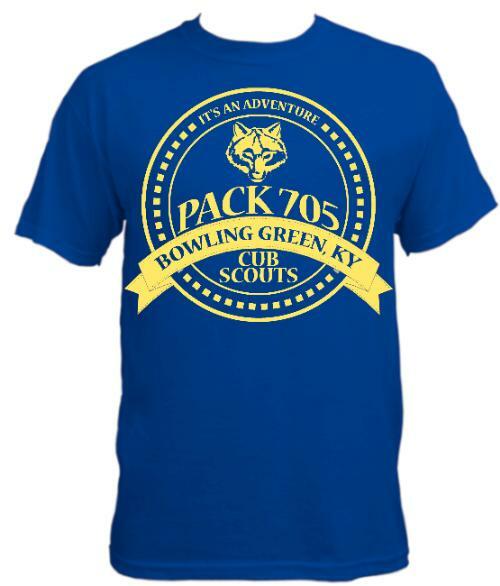 Every scout will receive a FREE pack t-shirt when the order is made in the fall as long as their size is provided to committee. The pack shirts will be worn as their Class B Uniform for events that their Class A Uniform would not be appropriate or might get ruined. Adults and siblings may purchase a pack t-shirt to wear to events such as camping, Cub Fun Day, parades, and other outings for $10 each. Please be sure to get your size and money in before the order deadline in the fall every year!